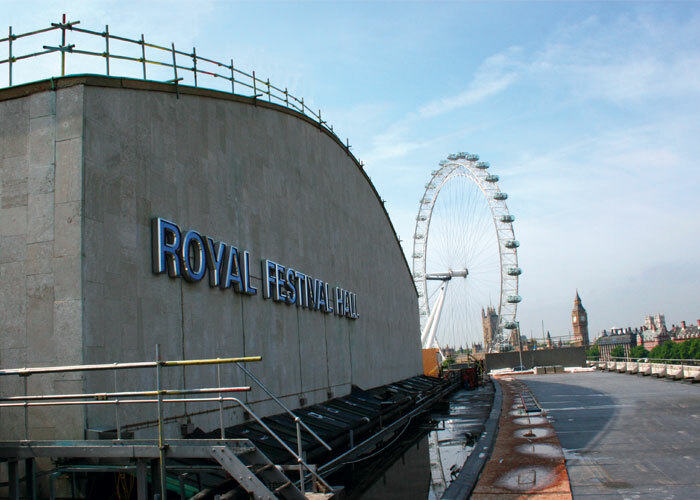 The Royal Festival Hall opened in 1951 as part of the Festival of Britain and is a major South Bank venue covering the whole spectrum of music and performing arts. As part of a major refurbishment programme, our contract brief covered two key aspects. The first aspect was to design and construct a bespoke, multi task high-level access platform to enable the complete refurbishment of the auditorium. The access platform within the auditorium was a demanding task. 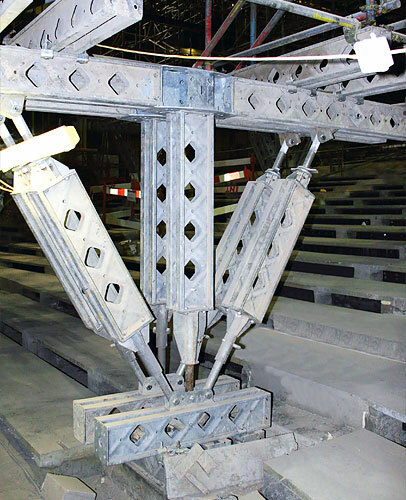 The initial platform at high level had to be hermetically sealed to allow the specialist demolition contractor to remove the asbestos contaminated ceiling in controlled conditions. 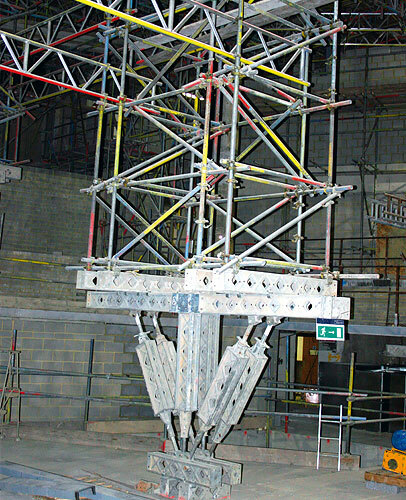 This platform was later required to support a separate secondary ‘Layher’ system birdcage scaffold to allow for the installation of the new ceiling. 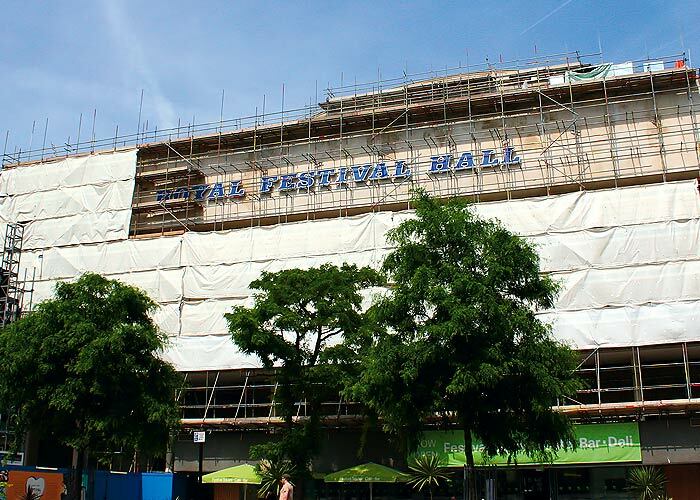 The main design challenge was that the auditorium scaffold had to be built over the existing stage and seating area, whilst they were being demolished and rebuilt at the same time. The lower section of the platform also supported the lifting beams to facilitate the removal of the demolished materials. Our solution was to support the auditorium scaffold on 24No. narrow support towers resting upon Mk. 2 Slim Shores each with a base dimension no bigger than 0.60m x 1.12m on plan. This was built within an area of 32m x 56m on plan with each tower able to support 31 tonnes. 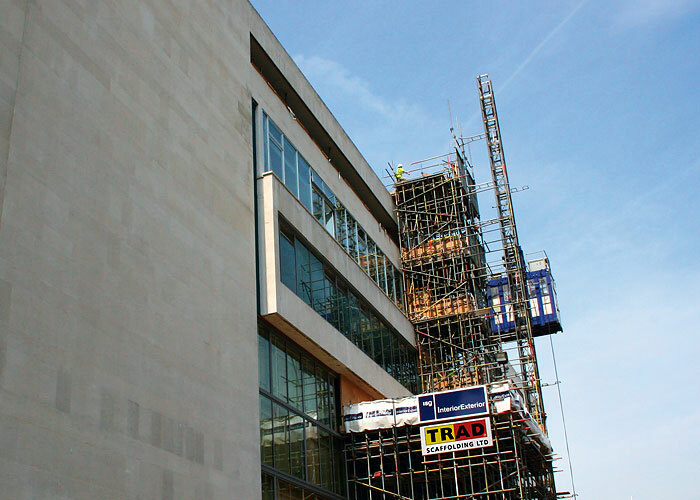 The second aspect of our work was providing an external access scaffold to the whole of this large building fasade for general cleaning works and maintenance of this stone clad building.